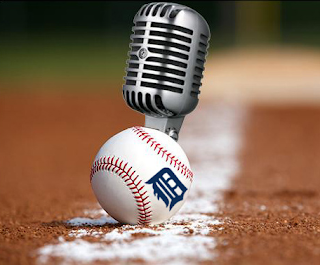 It can be difficult to find positive things to talk about when the Detroit Tigers are playing so poorly, but rest assured, The Voice of the Turtle found some! Unfortunately, they're mostly related to the MLB draft, which just wrapped up last week. Rob and HookSlide welcome Perfect Game USA's Brian Sakowski back to the show to discuss the Tigers' draft, including how top pick Alex Faedo projects in the pros, and whether surprising second round pick Reynaldo Rivera was a reach. Brian also dives deeper on some of the other picks, including why sixth rounder Dane Myers is a player to watch! Alas, the big league club is also on our minds, and things aren't going well. The Tigers are under .500 in June, a month that was supposed to be among their easiest in 2017. They have a losing record for the season, and are just a half game out of last place. Things have gotten so bad that the team's approach at the trade deadline doesn't seem to be a mystery anymore; the argument isn't #TeamBuy or #TeamSell this year, but rather #TeamSellAFewGuys or #TeamBurnItAll. - Who gets sold at the deadline? - When will the Tigers be legitimate contenders again? - Does Alex Avila have trade value?